Not so recently, Chappy's Mom hosted a contest in which she was trying to encourage people to watch Chuck. I already watch it, but, due to that, I was prepared to take her quiz and answer her questions! I did so and she politely wrote to me, right after Nathan's latest asthma flare, that I had won the contest. That seemed the ideal time to check out what the prize was. No, really. I entered the contest solely for my love of Chuck and to spite people who disagreed with her Ravelry forum post. That's the way I roll -- entering contests to spite people who will never realize they've been spited. It turns out I won twelve(!!!!11!) 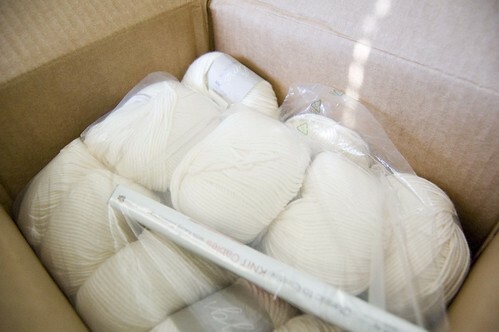 skeins of Sublime yarn, a knitting DVD, and season one of Chuck on Blu-Ray. 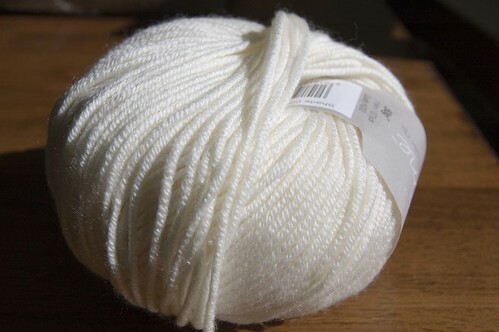 I was pretty psyched, especially since I had expected the prize to be something like a skein of dishcloth cotton. Not that I don't love dishcloth cotton! 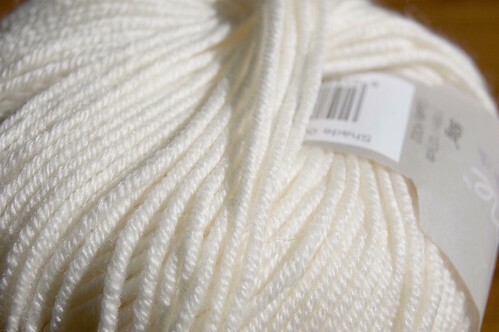 But, beautiful cashmere, silk, merino yarn? I shall say it again. That was me gloating, by the way. Thank you, Deb. I highly encourage you all to check out her blog(s). She's got nice photographs and she can write nicely. You all know that I don't have much higher praise than that for a blog. I AM WORKING WITH THAT SAME YARN RIGHT NOW. Sorry, it warrants the caps lock! Wordless Wednesday #7 - Want Some Coffee?